This entry was posted on Saturday, December 1st, 2018 at 7:37 am	and is filed under Uncategorized. You can follow any responses to this entry through the RSS 2.0 feed. You can skip to the end and leave a response. Pinging is currently not allowed. 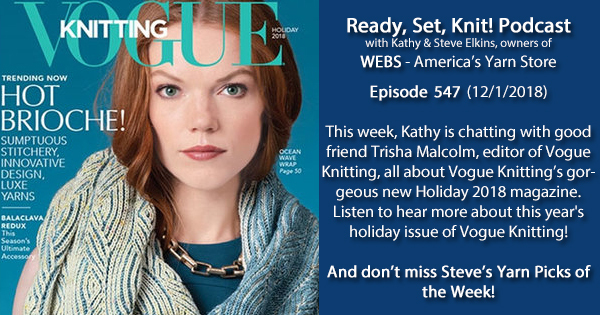 As an avid fan of the podcast, I will really miss the weekly updates with Kathy and Steve and the Knitterati. I discovered it in 2007 and it became a favorite companion while I knit. Thanks for almost 550 shows and so much information and inspiration along the way! Sorry, guys, but I think your decision to end the podcast is a huge mistake. I’m inundated with emails and catalogs, so they all go unread. But, when I have the information that you provide in my ear on a weekly basis, I listen and I purchase. No, I don’t purchase as frequently as I used to, but you remain relevant to my decision making process when many others don’t. 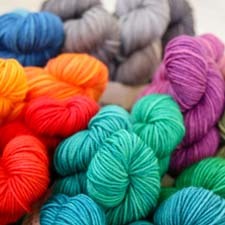 I find your decision analogous to a LYS restricting knit group to only knitting with the yarns purchased there. If I can’t go to the store, then I’m not there to experience the yarn, and I don’t purchase. Don’t mean to be Negative Nelly, but I think it’s important to share my concern. Thanks for the years of providing me the knowledge that you have shared, and Happy Holidays.